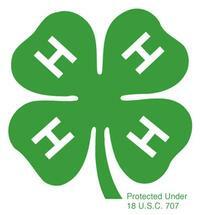 Welcome to Yolo County 4-H! For over 100 years, 4-H has enriched the lives of local children through agricultural, animal, and arts and science projects and events. Yolo County 4-H is unique, as the only county in California to offer a dedicated 4-H-only fair: the Yolo County 4-H Spring Show Arts and Science Fair. Spring Show, as it is affectionately known, highlights members' project work completed throughout the year and showcases it to the community. or contact the 4-H Office at 530-666-8703!